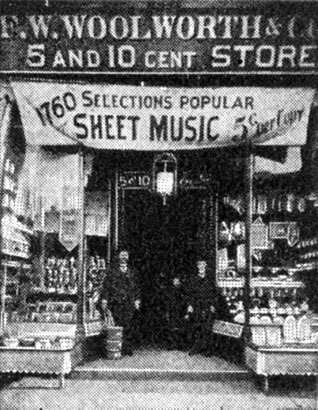 Frank Woolworth first introduced sheet music into his 5 & 10¢ stores in North America in 1896. Equivalent "Sixpenny Pops" became a best seller from the first days of the British operation when it opened in 1909. Music sheets remained profitable best sellers right through to the Swinging Sixties. 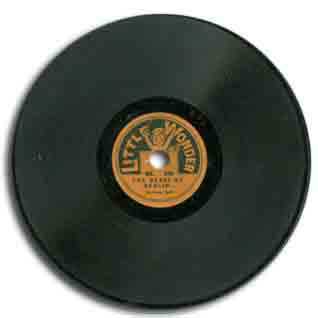 But, while the Americans stocked 80 rpm Little Wonder gramophone records from 1915 onwards, the founding British MD, Fred Woolworth, refused to stock anything like them. The launch was delayed until after the supremo's death in 1923. After selling millions of discs over the next fourteen years, they were dropped in 1937 when the cost of manufacture meant they could no longer be sold profitably for sixpence, and only rejoined the range in 1954. In the latter years of the British company it became strong dependent on its entertainment offer, diversifying into manufacturing, marketing and wholesaling the media, which filled almost a quarter of its retail space. 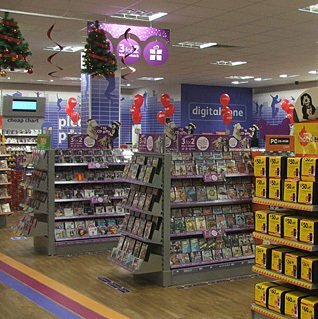 In 2008 the stores sold more CDs, DVDs and Computer Games than in any other year in their history, but at much lower margins than in earlier times. The high cost of the stockholding, both in retail and wholesale, coupled with fears about the financial stability of a key third-party client, were key drivers of the decision by the bankers to withdraw financing after the business breached its banking covenants during the credit crunch. Over its 99 years music and media had built the brand, sustained it through two World Wars, and underpinned a major recovery and makeover in the 1970s and 1980s. But ultimately it brought the retail giant to its knees. Fred Woolworth had shown lots of foresight in cautioning against becoming dependent on such a volatile range, but his words had been forgotten. 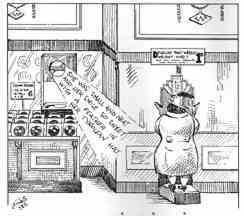 By 2008 the Group Directors had such tunnel vision, in seeking to save their wholesale and publishing businesses by sacrificing the High Street stores, that they landed up utterly destroying their whole empire. Woolworth played an important role in bringing music and film into the price range of ordinary people. Bulk buying and mass production drove down the price of everything from sheet music and gramophone records to pre-recorded videos and budget CDs. In the early days, music was considered a bonus rather than a main part of the offer. A few titles in depth were sold in bulk from a national store base. Profit was generated by keeping the range topical and by offering cheap alternatives to full price discs. 'Entertainment' built to become a key contributor to the bottom line after 1970. Within twenty years, albums, cassettes and videos had grown to become a full fifth of total turnover. By 2005 the company had diversied into media publishing and wholesaling, and had grown to become Europe's largest wholesaler of music, video and games, alongside an even larger offer in its stores. Collectively these ventures generated the lion's share of its profit, and its overall stockholding. This gallery tells the story. 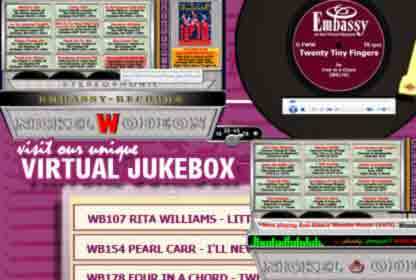 It has over 100 downloadable tracks from 99 years in the High Street, all arranged in jukeboxes. Frank Woolworth loved music, but couldn't play a note. So he commissioned a unique electric organ for his huge mansion in Glen Cove. The engineering marvel played itself. It had spectacular lighting effects and sound processing that was ahead of its time. The 5 & 10¢ pioneer's favourite indulgence was to 'play up' a storm, complete with thunder and lightening! It inspired him to launch a music department in his stores. It soon took off, selling a single hit, or six old standards, for 5¢ a sheet. In the 1890s gramophones were rare, and there was no radio or TV. Only very wealthy people had electricity at all. Ordinary folk had gas lights. Many passed their evenings with a sing-song around a piano at home. 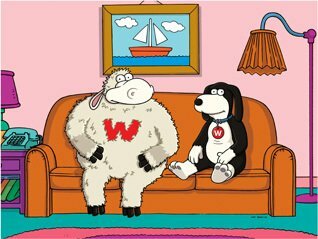 Woolworth found a novel way to boost sales. He installed grand pianos in his larger stores and hired wannabe stars to play them. If a shopper presented a music sheet, they would strum out the tune and sing the chorus! With the exception of that gimmick, it was a no-frills service. The 5 & 10¢ business model relied on selling lots of copies of any title stocked, and tight discipline in-store to make sure that they were all sold before their popularity dropped. In 1914 the chain went further, offering gramophone records at the jaw-drop price of 10¢. The Little Wonder Records were the creation of Henry Waterson, who had worked for Columbia Records on the ground-floor of the new Woolworth Building in New York City before going rogue. 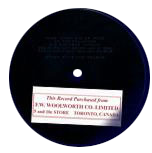 The young man had to tried get his employer to launch a cheap budget range, suggesting single-sided five inch (7.5cm) records to rival the standard ten inch (25cm) $1 range. When they refused he had engineered a 'chance encounter' with the Dime Store magnate. Frank had liked the concept. He had placed a large order upfront, paying 7¢ per disc. The two men had struck on a winning idea. By 1915 Woolworth sales had rocketed to a million records a week through its 800 American and Canadian stores. Waterson had added two new titles each week, and had quickly found that patriotic songs, sold best. By the time America declared war on Germany in 1917, stores carried up to 100 rousing titles, but still sometimes sold out. New York expected that the rapidly-expanding British off-shoot would stock the discs when the Atlantic shipping lanes reopened after the world war. But its Buyer was unable to persuade the MD Fred Woolworth of the merits of the idea. The supremo declared the 'new fangled' discs too risky. He told his Board that few Britons had 'a contraption'. He reluctantly agreed to a small trial of a British equivalent line. The Little Marvel discs were offered in the Fancy Good Department of a few large stores. Despite good sales the MD was unmoved, asserting that displaying more saucepans would be more lucrative. Two years later the long-serving MD passed away suddenly. His successor William Stephenson was less cautious. The canny Yorkshireman believed he could make records pay by setting two suppliers in competition. He signed both the Crystalate Recording Company and Vocalion. 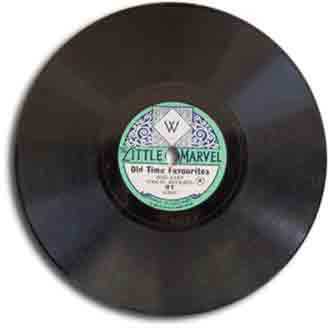 'Little Marvel'' records had been the brainchild of Crystalate. Their labels carried the retailer's 'Diamond W' motif to show that they were exclusive. Meanwhile Vocalion offered their established 'Mimosa'' discs. Each brand was double-sided and measured 5½ inches (13cm) diameter, and promised two popular songs or instrumentals for sixpence. This was the equivalent of 2½p at the time or £2.11 today. After going head-to-head for four years, the suppliers decided to merge in 1927. They persuaded Stephenson of the merits, explaining that as a richer company they could upgrade to new electronic recording technology. They promised a sharper sound, and larger seven inch (17.5cm) records with more playing time, at the same cost price. They would mark the upgrade with a new name, ''The Victory''. The merger created a potent combination, producing a steady stream of new hits each week. It became an open secret that the artist names on the records could not be believed. Many were recorded by big stars, making extra money while under contract elsewhere. There could be no doubt, for example, that 'R. Cliff' shared a distinctive voice with the superstar, Al Jolson. Creating 'The Victory' had proved to be a very wise move. Shoppers loved the new styling, with many buying a record or two every week at their local Woolies. Crystalate worked hard to keep its offer fresh, ploughing some of the profit into regular upgrades to its facilities. In 1931 the discs grew again. An eight inch (20 cm) format extended the playing time to three minutes per side under the brand name 'Eclipse''. This in turn was replaced by ten inch (25cm) 4½ minute-long 'Crown' discs. The Supplier made a point of securing the rights to the latest songs from stage and screen, as well as comedians and crooners from BBC Radio. It attracted up-and-comers like Leslie Sarony, Donald Peers and Vera Lynn, with the promise of becoming a named artist, with a byline on the records themselves, once their sales merited it. Despite booming sales, Stephenson proved every bit as decisive in dropping the record department as he had in launching it. The supplier's costs had risen in 1937 as inflation had set in. It offered two options, a higher price or using cheaper recording talent. Neither was deemed acceptable. The price limit was deemed sacroscant and the label's sales relied on its popular artists. So, as the final stocks sold through, the counters were filled by new, large displays of tinned fruit! It took another World War and a new generation in the Board Room before the Record department returned. It is said that the idea stemmed from the Fancy Goods Buyer's decision to stock a record as a one off, to mark the Queen's Coronation in 1953. Teddy Johnson's cover of the Dickie Valentine smash "In a Golden Coach (rides a heart of gold)" sparked fond memories for older customers. Several lobbied for a return of the record department, observing that everything was now over sixpence. They had a point. The stores were stocking items with prices up to 3 guineas (£3.15), 126 times more than the pre-war maximum. The request had come at an opportune time. Woolworth was expanding rapidly, with plans to open 250 new branches, quadruple the size of the best stores, and double the shelf-space in every town. A drive was on to source new lines that would appeal to increasingly style-conscious families. The Buyer's vision was for a very different offer this time. Research had revealed demand for catchy tunes sung by stars, rather than dance band numbers with vocal refrains. He stunned the market by launching an alternative pop chart, featuring records from the new 'hit parade', released at the same time, but sung by Woolworth's own "stars"
To this day Embassy Records remain controversial. The recording quality was superb, but they were cover versions, rather than the real thing. Some outsold the official hit, setting the cover artists like Maureen Evans on the road to stardom as stars themselves. But others were poor imitations. Today the Beatles covers are highly collectable. One music magazine courted controversy by rating Embassy's 'hit' as 'better than The Beatles', whipping up a storm of protest. By 1964 Embassy had run its course. The publisher, Oriole, was bought out by CBS and morphed into a jazz label. 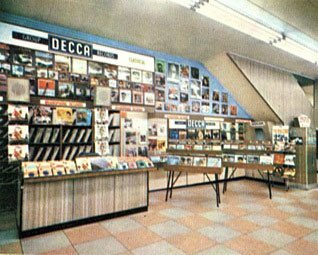 Meanwhile Woolworth aspired to be a 'proper' record shop, and enlisted help from Decca Records. They worked to create a new look for the Gallowtree Gate store in Leicester, which had been chosen as a test-bed for new ideas. Good sales prompted a roll-out. During the 1970s the music offer evolved. Every store stocked chart hits as well as a budget range, including exclusive labels. Some were instrumentals, while others were avante-garde covers of punk rock numbers. A few were performed by Reg Dwight, before he blossomed into Elton John. The largest stores also sold musical instruments, from Audtion Guitars to Magnus and Bontempi organs. Several Eighties stars have since revealed that Woolies supplied their first guitars! The change accelerated after the firm was acquired by Kingfisher in 1982. A new formula included an upscale family entertainment shop, which offered low prices on chart, catalogue and budget LPs and Tapes. The stores created a new market for Pre-Recorded Video in 1984. When the range launched, its £6.99 price was a quarter of the level elsewhere. It established Woolworths as the market leader for the next twenty years. In 1987 Kingfiaher bought Record Merchandisers Ltd, Woolworths' main supplier. It upgraded the wholesaler's systems and facilities, renaming it Entertainment UK Ltd. 'EUK' rapidly grew to become Europe's largest music and video wholesaler. Its expertise and buying power helped build the High Street stores to a market-leading share, selling one in four albums in the UK. Kingfisher also explored niche markets. It acquired Titles Video Ltd and the Music and Video Club, creating MVC. In 1999 it moved into the publishing world, buying VCI Group Ltd, one of its principal suppliers. This brought a substantial back catalogue on the MCI, Crimson, Demon and Emporio labels. After Woolworths demerged from Kingfisher in 2001, a newly fashioned Wholesale and Publishing Division grew in importance to the well-being of the Group, particularly after the sale and subsequent failure of MVC. The Division supplied many other retailers, mirroring the growth of its largest third-party client, Tesco. When the supermarket announced plans to go it alone, a major drive signed new customers including Asda, W.H. Smith and Zavvi (formerly Virgin Megastores). Total Home Entertainment was purchased for cash, securing its contract to supply Sainsbury's. The Group also paid cash for the leading book wholesaler Bertrams Books Ltd. The publishing arm grew rapidly through a win-win joint venture with BBC Worldwide. 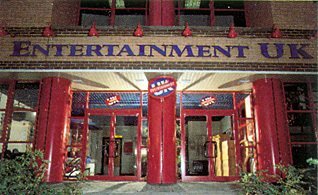 Branded 2|Entertain, its profits sustained the Group as it sought to restore its fortunes in the High Street. But wholesaling demanded extra working capital, as third-party retailers negotiated for extended credit terms. The Group secured financing from a consortium of banks using the rare Asset-Based Lending model. Weeks later, as the credit crunch began to bite, rumours rocked the market that Zavvi might be insolvent and that Woolworths had over-reached. The murmurings grew into a crescendo of concern after the Group announced that its long-serving CEO would be stepping down, and would be replaced by an outsider who would pursue a new strategy. This angered the bankers, and worried the credit insurers who underwrote the Group's purchases, forcing upfront payment. When the Group breached its banking covenants the asset based lenders called in their loans, forcing the 99-year old company into Administration in November 2008. Even at the end the stores had retained a dominant share of chart music and video sales, thanks to aggressive pricing and marketing. They had mastered compilation titles like 'Now that's what I call music ##' and Now ##'. accounting for more than half of UK total sales. They had enjoyed similar success with character brands like 'The Simpsons' and family films like 'Star Wars' and the James Bond movies, boosted by on-line music, video and games sales of over £30m a year. The launch of an in-house budget WorthIt! label in 2008 showed that CD sales could still be profitable, even despite the rapid decline of the market, and the 'dive for the bottom' as retailers dropped prices in a bid to secure the remaining volume. Some 40 track original artist WorthIt! CDs were just 99p. Had their price risen with inflation since the launch of the music department in 1923, such albums would have commanded a staggering £84.40! Some observers consider the failure of both Woolworths and Zavvi marked a natural thinning of Entertainment capacity in the High Street as music and video went digital, amplified by the rise of the supermarkets. This may be true, but actually the High Street chain sold more albums and videos in 2008 than it had ever done before, albeit at much lower prices than in earlier years. Today's downloads are easy to get hold of, and CDs and DVDs can be bought cheaply in supermarkets and on-line. But Saturday afternoon shopping has changed forever for the five generations who used to to buy music in a Woolworths store at the heart of town. We hope that our music and video feature in the Woolworths Museum brings back fond memories of happier times, before the Nickelodeon ran out of nickels.